Articles for June 2018 Year » SoftLab-Portable.com - Portable Soft! For the perfect system - always the latest drivers! Now your computer can do more! Wrong or old drivers are the enemy of every computer system. Often, drivers are missing or hopelessly outdated. 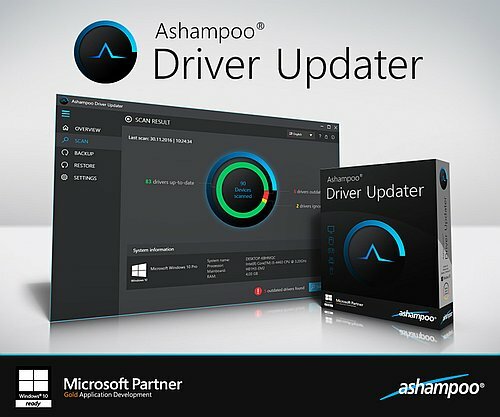 Ashampoo Driver Updater not only finds the best drivers but also installs them for you. Optimal performance through up-to-date drivers! More than 400,000 drivers available. Over 150,000 devices supported. Maximum system stability. The well-designed program performs its job of keeping your computer up to date quickly and with a high degree of usability. It analyzes your hardware components and drivers, compares the results against a gigantic database - and then replaces outdated drivers with their latest versions. Firstly as the most professional video converter, Tipard Video Converter can easily convert any video such as MPG, MPEG, MPEG2, VOB, MOD, MP4, H.264, AVI, WMV, etc. 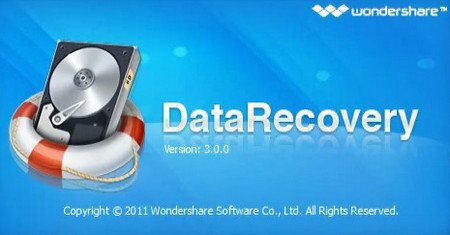 This any video converter can also extract audio from video formats and convert it into M4A, MP3, AC3, AAC, WMA, WAV, OGG. The converted files can be enjoyed on your portable players PSP, iPhone (3G), iPhone, Zune, Zune 2, Blackberry, Creative Zen, Sony Walkman, iRiver PMP, Archos, PS3, Apple TV, Xbox, iPAQ, Pocket PC, Mobile Phone, etc. RogueKiller is an anti-malware program written in C++ and able to detect and remove generic malwares and some advanced threats such as rootkits, rogues, worms. Based on generic ways to find malware by their behaviour (heuristics), on classic anti-malware analysis (signature finding) and on undocumented hacks, RogueKiller can find/remove most of the basic malware (rogues, trojans, …) and some advanced threats like ZeroAccess or TDSS that behave more like rootkits. RogueKiller is an anti-malware maintained by a small team, and thus new detections are based on “most spread threats“. We react quickly to integrate detection and removal of what we think can be a global threat and affect a big amount of users across the world. 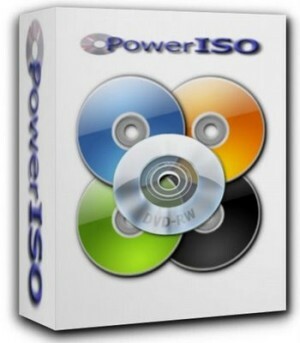 PowerISO is a powerful CD/DVD image file processing tool, which allows you to open, extract, create, edit, compress, encrypt, split and convert ISO files, and mount these files with internal virtual drive. It can process almost all CD-ROM image files including ISO and BIN. Support almost all CD/DVD-ROM image file formats(ISO, BIN, NRG, CDI, DAA and so on). 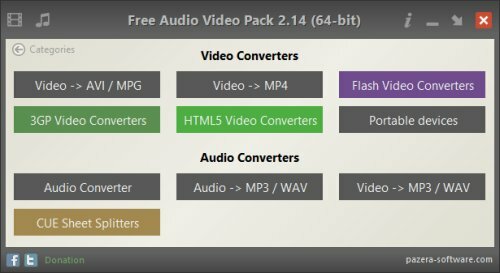 Collection of portable video and audio converters which helps you to convert between all most popular audio and video formats like AVI, MPG, MP4, MP3, WAV, FLAC, AAC, MOV, WebM, WMV, WMA, OGG, WebM, FLV, OGV, 3GP. The package also includes applications that allows you to extract audio tracks from CD images based on the CUE sheets. All converters have a very similar interface and they are simple to use, even for novice users. Video files generated by the program can be played on most mobile devices (iPhone, iPad, Samsung Galaxy, etc.) The program has a number of predefined settings (profiles) specially designed for novice users. While more advanced users can customize video and audio encoding parameters used by encoder: audio and video codec, audio and video bitrate, fps, sampling frequency, resolution, volume and other. 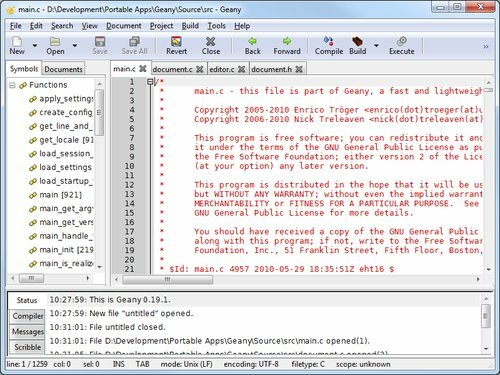 Geany is a text editor using the GTK+ toolkit with basic features of an integrated development environment. It was developed to provide a small and fast IDE, which has only a few dependencies from other packages. It supports many filetypes and has some nice features. 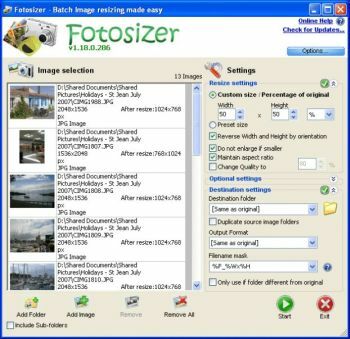 Fotosizer is a batch image resizer tool. It resizes your photos in just 3 easy steps - 1. Photo selection, 2. select resize settings, then 3. Start the resize! Increasingly, sharing photos on the internet is becomming more and more popular. Photos, represented as JPEG files from digital cameras, taken at high resolutions are far too large to send over the Internet, with some photos ending up at 5 mega bytes. Uploading one photo to a photo sharing website is fine, but 10, 20, or even more, this can take forever, especially on a dial-up connection. Tag&Rename is a handy utility designed for music files management. 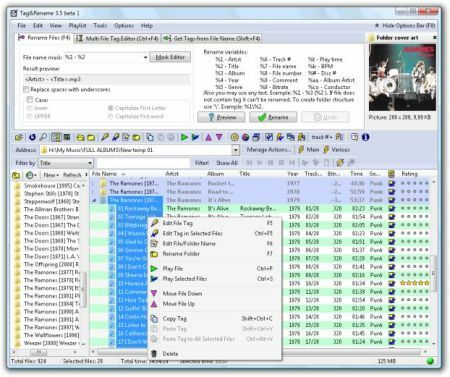 With Tag&Rename you can quickly and easily rename your music collection using the embedded tag data, write new or edit existing tag information, create tags based on file names, get songs information from freedb/amazon.com servers and mach more. CrystalDiskMark is a disk benchmark utility that measures performance for sequential and random reads/writes of various sizes for any storage device. It is useful for comparing the speed of both portable and local storage devices. CrystalDiskMark requires admin rights to operate. PhotoFiltre Studio is a complete image retouching program. It allows you to do simple or advanced adjustments to an image and apply a vast range of filters on it. It is simple and intuitive to use, and has an easy learning curve. The toolbar, giving you access to the standard filters with just a few clicks, gives PhotoFiltre Studio a robust look. PhotoFiltre Studio also has layer manager (with Alpha channel), advanced brushes, nozzles (or tubes), red eye corrector, batch module and lot of other powerful tools.